Sony G Lens design emphasizes a graceful balance between high resolution and gorgeous background bokeh that can enhance the artist's vision. 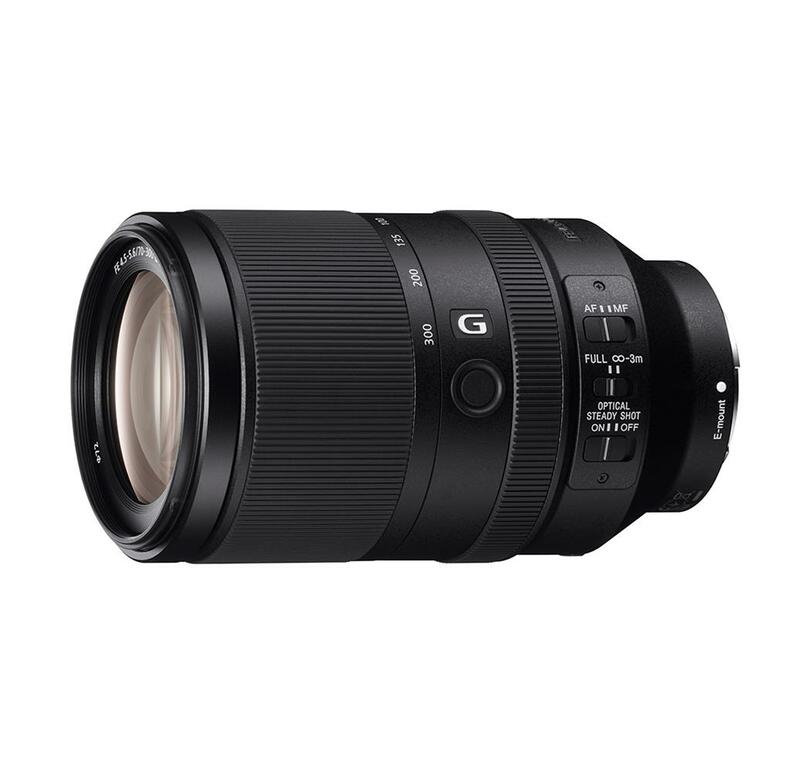 Sony's G-Series lenses are designed for maximum descriptive power, maintaining excellent peripheral light characteristics and maximizing contrast even at the edges of the frame. 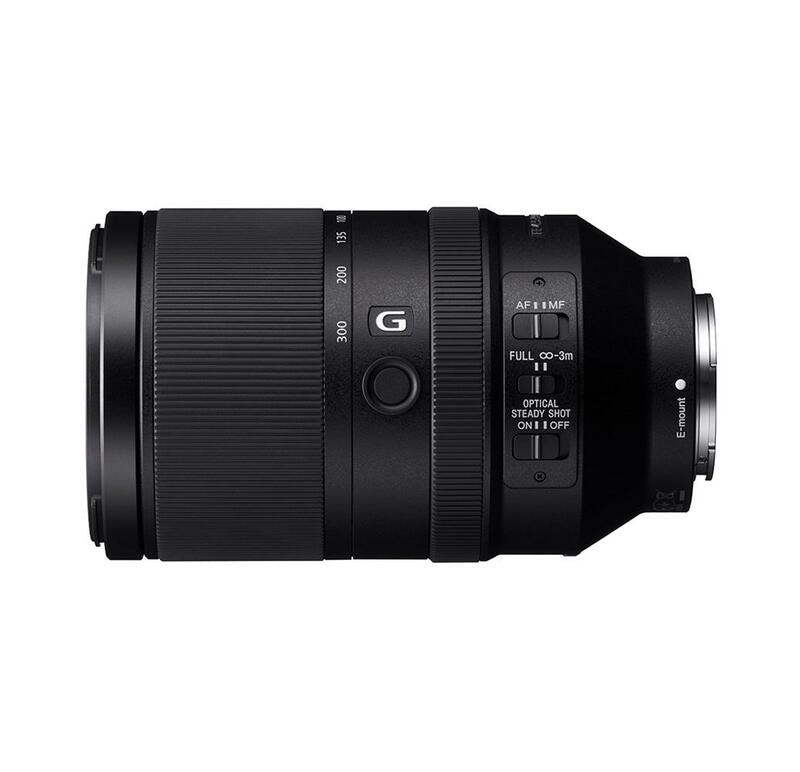 The SEL70300G offers high zoom and magnification for full-frame E-mount cameras equivalent to 70-300mm F4.5?5.6. In addition, when mounted to APS C cameras, the focal range can reach 105-450mm offering reach beyond previously available E-mount lenses. Sony's original Nano AR Coating technology produces a lens coating that features a precisely defined regular nano-structure that allows accurate light transmission while effectively suppressing reflections that can cause flare and ghosting. The reflection suppression characteristics of the Nano AR Coating are superior to conventional anti-reflective coatings, including coatings that use an irregular nano-structure, providing a notable improvement in clarity, contrast, and overall image quality. Built-in Optical SteadyShot image stabilization helps to reduce camera shake, particularly in telephoto, close-up, and low-light situations where camera shake is most likely to affect image quality. OSS makes it easier to capture clear images when shooting handheld. A convenient on/off switch - on the lens itself - can be used to control internal image stabilization which speeds up operation as there is no need to access the camera menu. 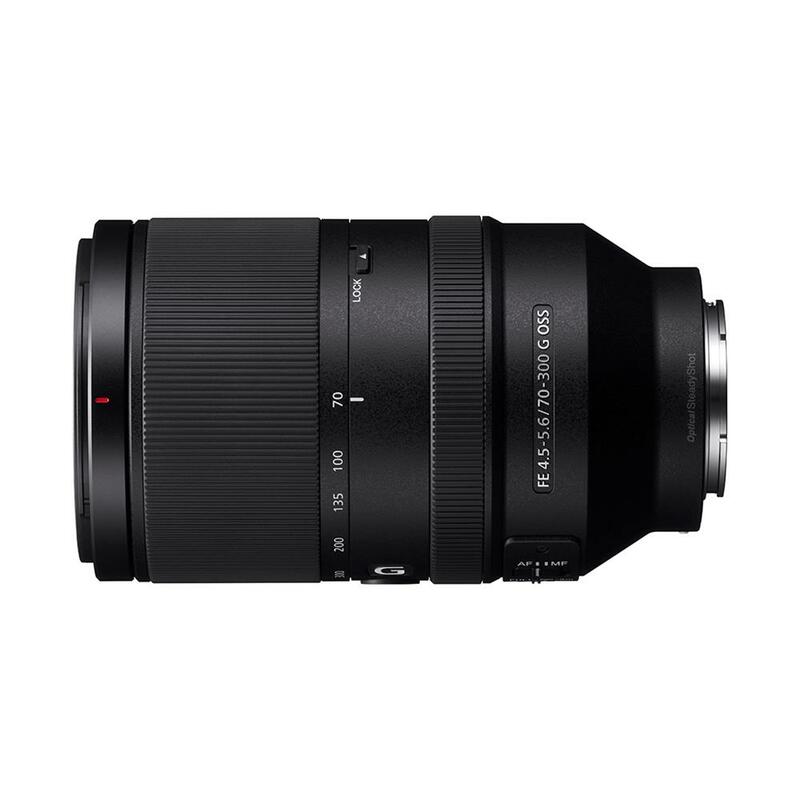 The SEL70300G telephoto zoom lens also features class-leading close-up performance, with a minimum focusing distance of less than 3 feet (0.9m) and a maximum magnification of 0.31x, making it an ideal choice for tele-macro photography. This outstanding close-up performance also factors into the lens? excellent corner-to-corner sharpness. The 9-blade circular aperture forms a nearly perfect circle to create a pleasing and beautifully round background defocus or bokeh effect, especially when the lens is wide open. As focal lengths get longer, lenses built with conventional optical glass have difficulties with chromatic aberration, and as a result images suffer from lower contrast, lower color quality, and lower resolution. To counter such problems, 2x ED glass elements are included in the SEL70300G. It dramatically improves chromatic aberration at telephoto ranges, and provides superior contrast across the entire image, even at large aperture settings. The SEL70300G has an innovative optical design to achieve clear, high-quality images by effectively minimizing distortion and chromatic aberration. A double-gauss configuration effectively suppresses field curvature and distortion, while a four precisely placed aspherical element control spherical aberration and coma for excellent optical characteristics right out to the image periphery. An aspherical element in a new optical design that controls all types of aberration (spherical, coma, distortion), rendering the subject with superior sharpness. Deliver outstanding operability and reliability in a design that resists the intrusion of dust and moisture which helps to ensure reliable operation in harsh outdoor conditions. Designed for reliability in a wide range of environments, the metal mount adds a sophisticated feel as well as solid durability. A linear actuator and an inner focus mechanism are used for focus drive, resulting in fast, smooth, quiet focus operation. Lens noise pickup can be a problem when shooting movies, but with this lens operation is so smooth and quiet that autofocus can be used for shooting movies as well as stills. The SEL70300G features convenient direct buttons and switches to enhance the ease and operability. These include a focus hold button, focus mode switch, focus range limiter, Optical SteadyShot switch and zoom lock switch. Once you've adjusted focus to where you want it, holding this button on the lens barrel will keep the lens locked to that focusing distance. The preview function can also be assigned to this button through the camera's custom settings. This function allows you to set a limit on the focusing range which can save you time during auto focus operation - as the lens will not 'hunt' through the entire focusing range. Selections are infinity to 3 meters for medium to distant focusing, and FULL for full-range focusing. The zoom lock switch prevents unwanted lens extension during transportation. A conveniently located switch allows manual or auto focus to be easily selected while viewing through the camera's viewfinder.